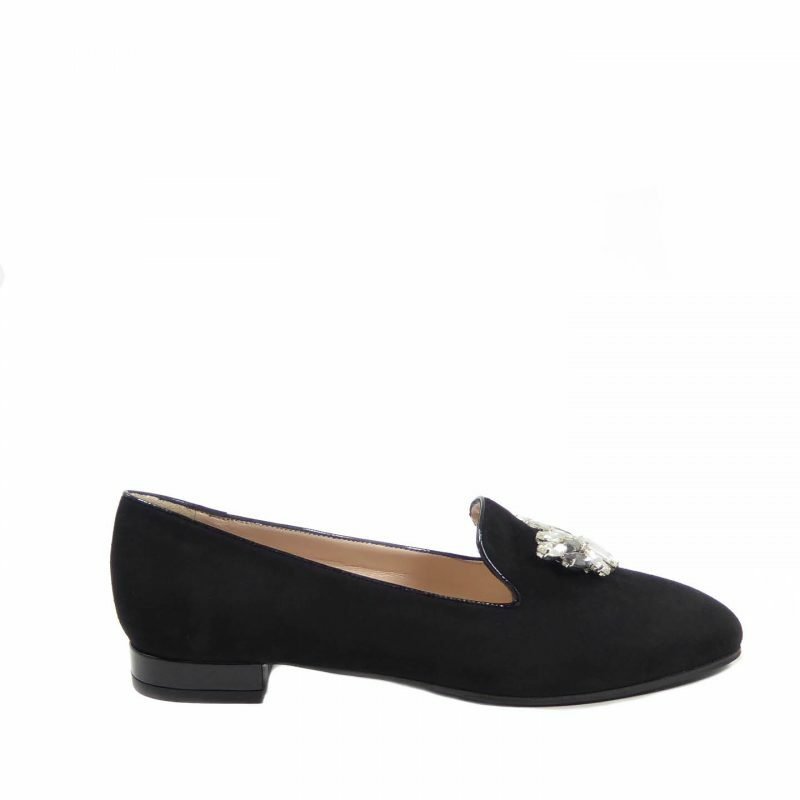 Alberto Zago flats are crafted from premium suede and have a crystal brooch spanning the the toes. 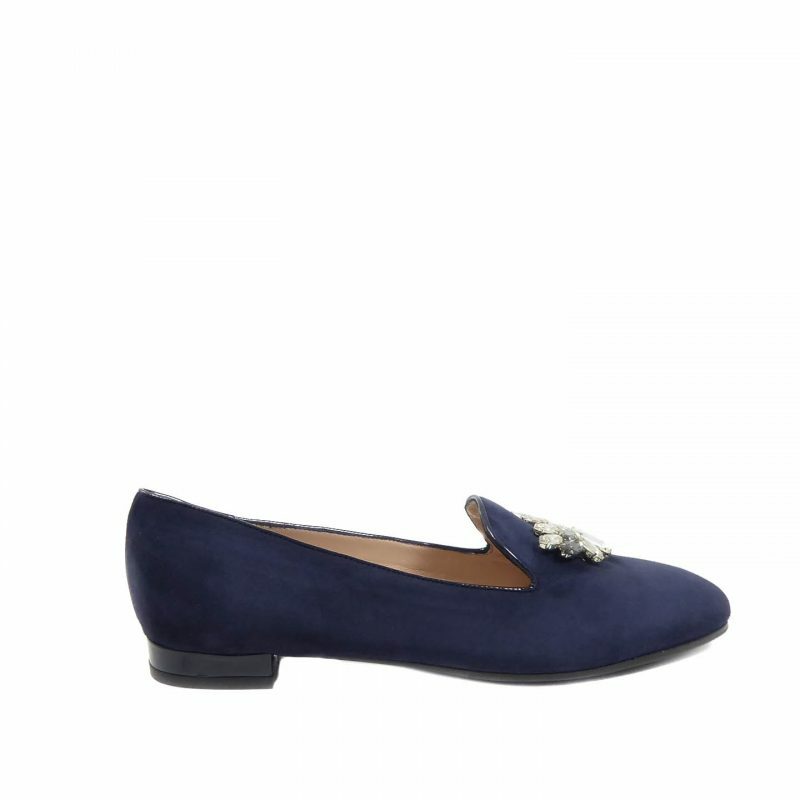 Set on a slight heel in contrast patent and with an all leather lining. 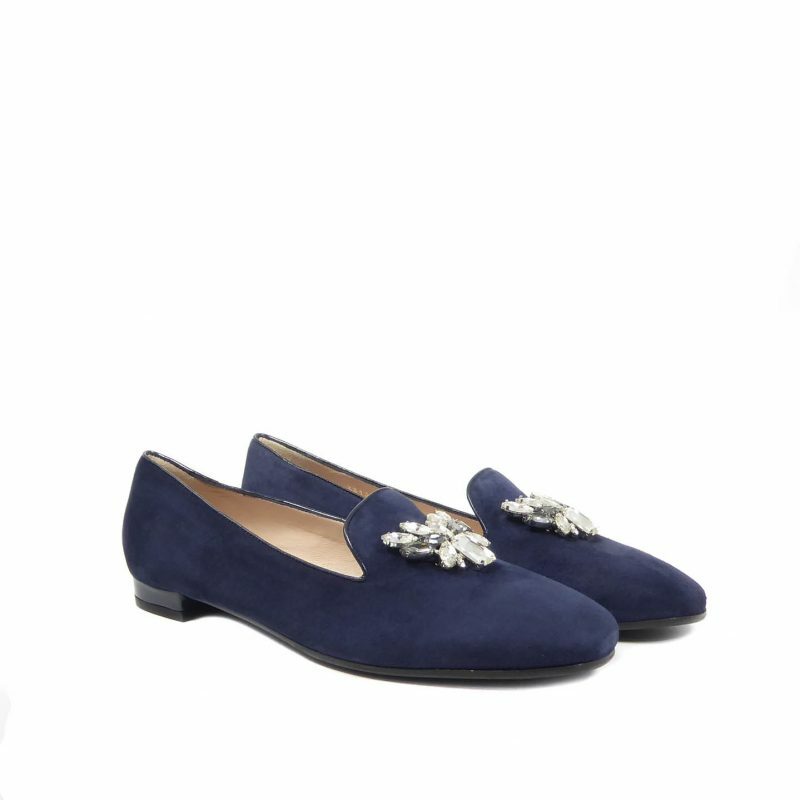 Slip ons that can be styled with this seasons midi length clothing.